1.2 How Does Tinnitus Acupuncture Work? 1.3 What Type of Needle? 1.4 Where Does the Needle Go? 2 Does Acupuncture for Tinnitus Treatment Help? Tinnitus is an unfortunate and frustrating condition for those who suffer with it. The condition is defined as a consistent or intermittent ringing in the ear that can lead to a multitude of other problems. Fortunately, though, there is help in the battle against tinnitus. Specifically, acupuncture for tinnitus has been seen as an effective means of treating the condition. The following delves deeper into what tinnitus acupuncture procedures involve and what an individual can expect when they undergo the process. Before you can understand the impact and process by which tinnitus acupuncture works, it is important to understand just what acupuncture is. Acupuncture is considered to be an alternative medicine to Westernized medicine. It involves the use of needles, cups, pressing, and other stimulation tools that are pressed into the skin at designated points. These points, when pressed upon, are said to cause a release of pressure in the body, resulting in pain alleviation. How Does Tinnitus Acupuncture Work? This ancient Asian medicine has been utilized for centuries in fighting everything from the common cold, immune system deficiencies, to side effects from cancer. The goal of acupuncture is to restore a sense of normalcy or equilibrium in the body. 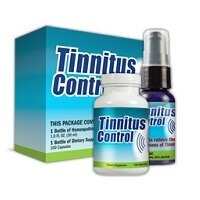 In essence, it is utilized to fix the internal balance lost when tinnitus takes effect. The way this is done, again, is through a series of needle insertions into the body that work to remove pressure from the ears and ear drums and restore the normalcy that leads to a lack of ringing in this region. The needles utilized in any session of acupuncture for tinnitus, or any treatment utilizing this method, are not the same as other needles. On average, the acupuncturist will use an insertion needle of roughly one-tenth the size of a traditional, hypodermic needle used in other procedures. They are thinner and shorter, allowing multiple to be inserted into the same location. Further, depending on how deep the insertion point to be reached, the needle may be longer or shorter than the others in the same session. 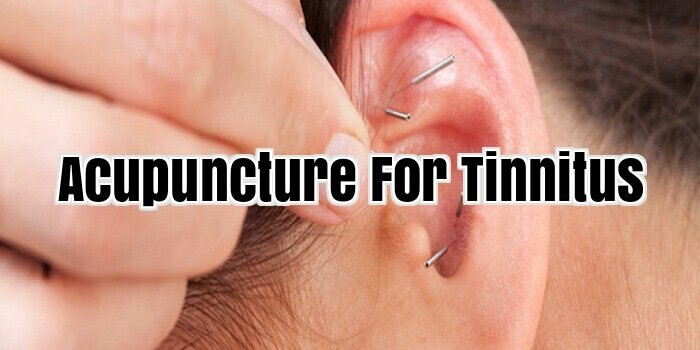 For tinnitus acupuncture treatments, there are certain sites that are linked to pain and sound relief in the ears. These include the hands, feet, wrists, and back. An acupuncturist will insert the needles, traditionally and with some variance depending on the practitioner, between the fingers, along the bracelet line, and in the heel of the body. He or she may also have an individual lay on their stomach so that spinal surface and neck needles can also be utilized. Though acupuncture alone is said to be a helper for tinnitus, it does not need to be done alone. Many individuals who utilize this method do so in combination with other treatments. Because there are no drugs ingested when an acupuncture procedure is completed, some patients choose to use it in conjunction with western medical options. Others, however, choose to use it with other alternative approaches to treatment including herbal remedies, aromatherapy, and massage. Those who utilize acupuncture for tinnitus may want instant results. Those who have utilized the treatments in the past, however, have said that there was a delayed response in their body. The relief did not come instantly but rather, built up over time, improving with each subsequent session. Like any therapy, a patient should expect to have multiple treatments before results are seen or relief felt. Patience, then, is a big part of the process. Acupuncture is both an art and a medical procedure. Therefore, choosing an acupuncturist does involve some research on the part of the patient. No one should assume that because an individual calls himself or herself an expert that this is the case. A patient needs to advocate on behalf of their safety and ensure that they are getting an acupuncturist with experience. Further, those who utilize an acupuncturist should understand that an uneducated or false acupuncturist could lead to safety risks, as it is possible to do damage to the body if unregulated. Though the aforementioned focuses on Chinese and Asian acupuncture for tinnitus methodologies, these are not the only ones available. There are other schools of acupuncture and differing styles, too. From the French Energetic Method to Korean to Auricular, the options are as diverse as the patients that utilize this methodology. To choose, it is researching and understanding what approach is both comfortable and seen as effective that is the best way for a patient to make an educated decision. Multiple different styles may be appropriate as well. Because acupuncture is seen as an alternative medicine, it is likely that health insurance in its traditional forms will not cover this procedure. Therefore, those seeking the relief that acupuncture for tinnitus can bring, should consider the options thoroughly. Pricing can vary based on the depth of the procedure, how much time is spent with the acupuncturist, and the number of sessions. It is important for any patient to discuss the cost prior to receiving any treatment as it might be prohibitive. Does Acupuncture for Tinnitus Treatment Help? Acupuncture is a popular alternative therapy characterized by the insertion of thin needles in different parts of the body. It originated in Ancient China and has been used to treat a variety of medical conditions such as pain, infertility, and nausea. This treatment is based on the idea that the body is filled with life energy called qi, and that disease and disorders are the result of imbalances in the flow of qi. Acupuncture works to balance the body’s qi by stimulating different areas such as the arms and near the ears. Many people suffering from tinnitus, which is uncomfortable ringing in the ears, wonder if acupuncture can help alleviate their conditions. A report published in the Archives of Otolaryngology-Head and Neck Surgery journal found that in two studies 30% of patients experienced improvement in their tinnitus versus only 10% of people who received a placebo. There are a couple of ways acupuncture can help improve tinnitus. First, acupuncture reduces stress. Stress alters the perception of tinnitus, making the sound appear louder and more annoying. Reducing stress can lessen the impact tinnitus has on your emotional and mental faculties. Acupuncture also simulates circulation. Poor circulation in the body can lead to reduced blood flow to the ears, which contributes to hearing loss and the onset of tinnitus. Improving blood flow to the ears using acupuncture can alleviate tinnitus, so you can function more effectively in your life. Unlike conventional medications, acupuncture is a natural therapy that does not cause side effects. You shouldn’t have to incur more unpleasant symptoms just to relieve the ringing in your ears. Homeopathic and alternative therapies are sometimes more effective than conventional medical treatments. Our top recommended treatment for tinnitus is one such natural therapy that we have found to quickly relieve tinnitus.